International intellectual property scholars ​will critically examine developments relating to the Agreement on Trade-Related Aspects of Intellectual Property Rights of the World Trade Organization. Presented by the Center for Law and Intellectual Property (CLIP). Co-sponsored by the Aggie Dispute Resolution (ADR) Program, Natural Resources Systems Program, Program on Real Estate and Community Development Law, and Global Programs. ​Examine past developments and explore the future of digital copyright reform in the U​.S. and ​​around the globe. 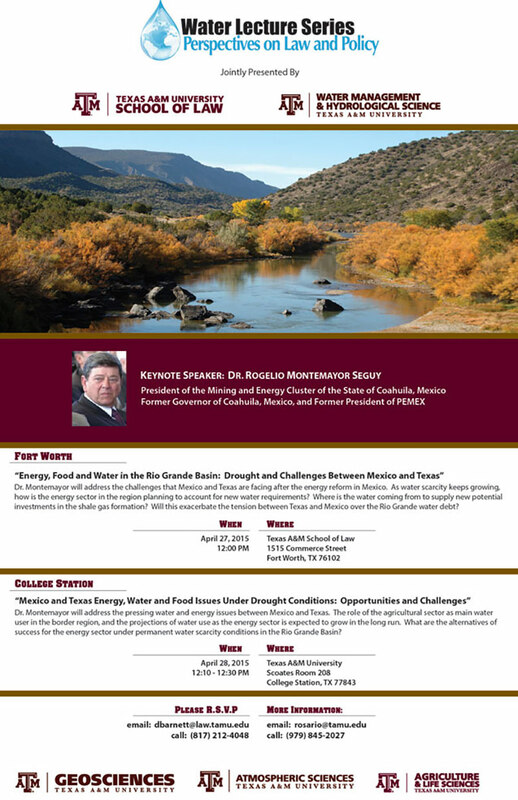 The Program in Natural Resources Systems presents Richard Epstein, in ​partnership with the Texas A&M Hagler Institute for Advanced Study. Its Impact in the U.S., Mexico and Beyond"
"The South China Sea Arbitration Award"
"Divergence and Convergence in China's Internets"
"American Immigration Law: The New Colossus"
"Achieving Water Security: Building Alliances for Better Water Management across Sectors and Boundaries"
"The Global Future of International Trade, Human Rights and Development"
"Do Parties Negotiate After Trespass Litigation? An Empirical Study of Coasean Bargaining"
"Agriculture, Intellectual Property and Feeding the World in the 21st Century"
​"Looted Art, Cultural Property, and Repatriation"
"Think Globally, Act Locally. TAMU’s Initiative to Respect, Preserve, and Protect"
CLIP examines new situations & technologies in which IP issues may arise. 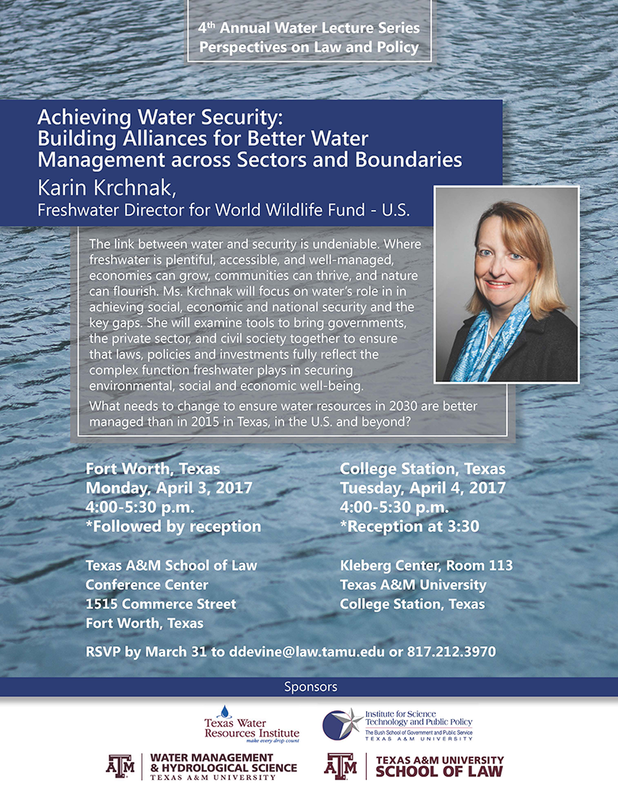 "What Texas Can Learn from Global Water Partnership's Integrated Water Resources Management"
Faculty presentation: "Is Federalism a Significant Obstacle to U.S. Compliance with its International Obligations?" Office of Career Services student seminar: "International Law: Opportunities in Government Service and Private Practice"
"Energy, Food and Water in the Rio Grande Basin"
"Is Texas Missing an Opportunity? Lessons From Australia"